With the development of multimedia, there is a requirement for broader bandwidth for high definition audio and video applications. The Optronics Multimode 10G Jumpers provide 10 gigabit data transfer speeds in high bandwidth applications, up to 550 meters faster than standard fiber cables. 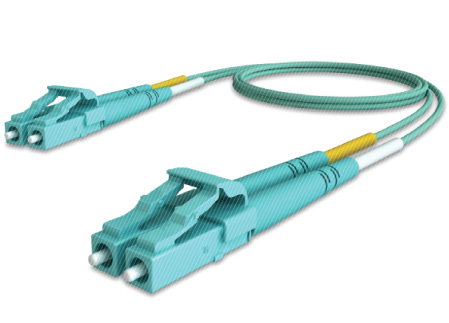 The 10G Jumpers construction is also designed to support tough usage, high performance interconnections, easy installation, and saving time. Enhanced 50/125µm Multi Mode Fiber Optic for 10G transmission. 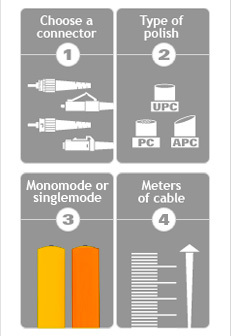 Different type of terminations SC, ST, LC, FC. Durability and protection as well as light weight. Fibers offers low insertion loss, electric interference immune. The Optronics Multimode 10 G Jumper is available for any kind of configurations you need. Find it as simplex or duplex mode.